A Foolish Take: How Does Your Income Stack Up? Another tax season has ended, and unless you&apos;ve had to ask for an extension to get some more time to file your final return, you can take a well-earned break from thinking about your taxes for at least a little while. Yet one thing that inevitably comes up when you&apos;re adding up all your income and deductions to come up with how much tax you&apos;ll owe -- or how big your refund will be -- is how your income compares to what your peers make. Out of about 150 million returns, more than 30% have adjusted gross incomes of less than $20,000. 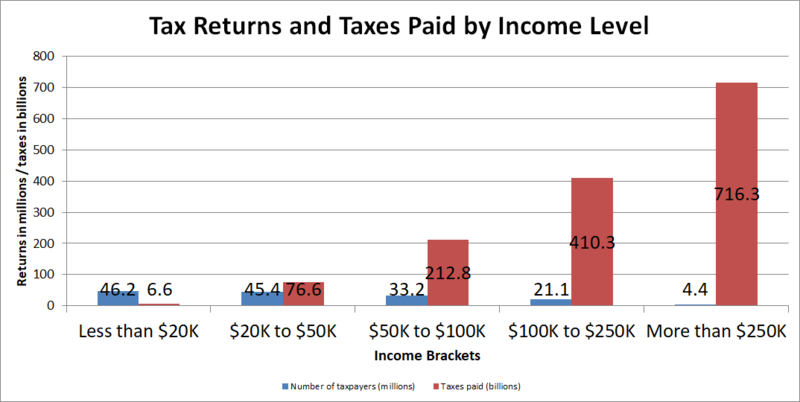 As you&apos;d expect, those returns pay relatively little in tax -- just $6.6 billion, for an average of less than $150 per return. About 60% of taxpayers have adjusted gross income of less than $50,000, while only 1 in 6 makes $100,000 or more. As income levels rise, the amount of tax goes up dramatically. Taxpayers reporting more than $250,000 in adjusted gross income make up less than 3% of returns, but they paid more than half of all taxes during the year. Those numbers are consistent with a progressive tax system, although they also lend support to the inequality of income distribution among U.S. taxpayers. As you reflect on your recently filed tax returns, keep these numbers in mind as you figure out where on the income spectrum you fall.